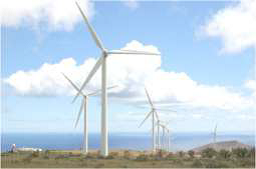 The energetic project includes developing, owning and operating of the 400 MW wind power park. Annual Energy Generation: 1,225 GW-hours. Average annual wind speed: 8 to 9 meters per second (18 to 20 miles per hour). Operating Margin of energetic project: 65%. Internal return rate (IRR): 14,77%.